Here are two common methods for measuring flour. I routinely use the spoon and sweep method in my recipes, or 4 1/2 ounces/128 grams for each cup. Other sites or recipes might differ from this average weight. Look for specific weights in the recipe ingredients list or a specific site's flour measuring instructions. King Arthur Flour generally lists a cup of flour at 4 1/4 ounces, while Cook's Illustrated states a cup of flour on their site weighs 5 ounces. The Betty Crocker site uses the spoon and sweep method but doesn't mention weight. Stir the flour before scooping. 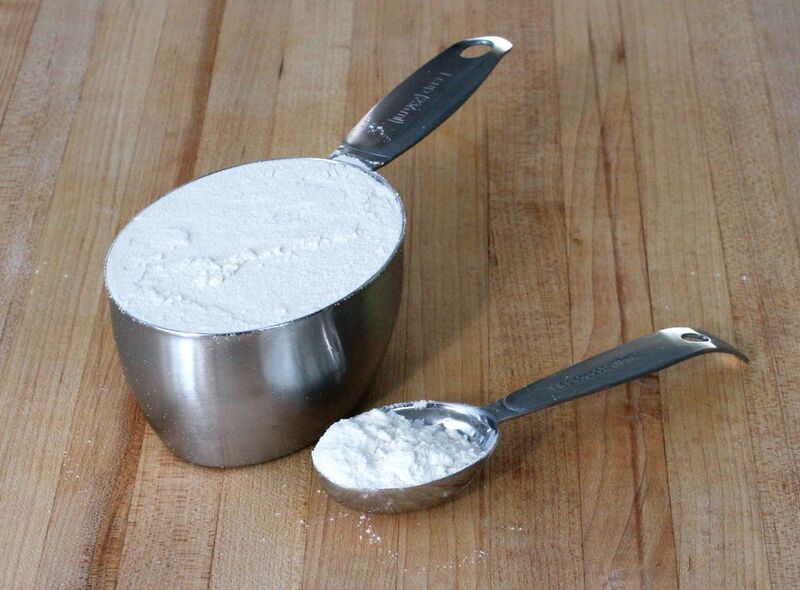 Scoop flour with a spoon and add to the 1-cup dry measuring cup (without compressing) until the cup is overflowing. Level with the handle of a wooden spoon or a flat spatula blade or handle. Using this method, you should have 4 1/2 ounces (about 128 grams) or just slightly less for each cup of flour. Scoop the flour up with the measuring cup overflowing. You should have about 5 ounces (141 grams) for each cup of flour. Though sifting is specified in some recipes, fluffing it with a spoon or whisking is probably all you need to do before you spoon it into the cup. When dry ingredients are combined in a bowl, whisk them to blend them thoroughly. Sift flour or dry ingredients if it is to be folded into a mixture. Weighing is the most accurate method. If the recipe specifies weight, weigh the flour. Always use a dry measuring cup for measuring flour. Never use a liquid measuring cup. If the recipe does not tell you how to measure or give a weight, use the 4 1/2 ounces/128 grams spoon and sweep method.